A WORKING GROUP will examine if drug-testing at music festivals could work in Ireland. Minister of State for Health Promotion Catherine Byrne told the Seanad today the working group, which has already been established by the Department of Health and HSE, will examine the evidence on early harm reduction responses such as drug-testing next year. While the National Drugs Strategy is examining the issue of drug use, the working group will draw together the relevant stakeholders and examine best practice models from other countries to help determine if drug-testing at music festivals and nightclubs could work here. The provision is available in a number of other European countries. While the advice from the Department of Health and the HSE is that people attending festivals should inform themselves about the dangers of taking drugs and, preferably, not take drugs at all, reducing the harms is core to the government’s strategy, said Byrne. “Last year, I visited a drug-testing service in Wales. I was struck by the fact that any measures that can reduce harm and death caused by drug use need to be introduced as soon as possible,” she added. While the provision of drug testing kits at nightclubs and festivals might allow people who use drugs to gain feedback regarding the content and potency of what they are consuming, the junior minister said the approach has been criticised. She said such drug-testing kits do have the potential to inform people who use drugs that what they are consuming is safe when that is not the case. “I also understand from the evidence review that doubts remain regarding the accuracy and consistency of commonly used testing equipment. The HSE’s addiction services has had preliminary discussions with emergency health providers who attend music events. It has examined emerging approaches which provide targeted preventive messages to recreational drug users,” she added. Therefore, she said the effectiveness of drug-testing kits will be examined by the expert group. 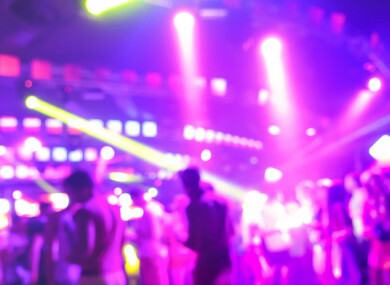 The issue was raised by Sinn Féin Senator Fintan Warfield who said there are reports that bad batches have caused havoc among Irish festival goers and resulted in the deaths or emergency health reactions of festival attendees. “Not a summer goes by without news here or in Britain of such incidents,” he added. According to a Eurobarometer poll in 2014, the use of psychoactive drugs among 15 to 24 year olds in Ireland is the highest in Europe, he said. This also extends to music festivals, where MDMA, ecstasy, ketamine and cocaine are all common. I commend the specific HSE guidelines on music festival-attendees or festival-goers as well. It advises that it is always safer not to use ecstasy or MDMA but, if one does, one should test-dose a new batch and begin with a low dose of one quarter of a pill. Obviously, these illicit drugs do not go through any regulatory testing at all. Citing one example in Portsmouth this year, he said two festival-goers died after taking pills which contained three times the typical dose of ecstasy. “It is always safer not to use unknown or illicit drugs at all and they are illegal. However, we must be conscious, given their prevalence, that putting our heads in the sand or condemning those who partake has failed completely. We are doing very well in advancing the harm reduction conversation but we can do more,” said Warfield. Email “Drug-testing roll out at music festivals and nightclubs to be examined by expert group ”. Feedback on “Drug-testing roll out at music festivals and nightclubs to be examined by expert group ”.